When it comes to translating your business model into pro forma financial statements for banks, investors, analysts and decision makers or filling out your personal financial statements, you need a solution to project balance sheets, cash flow, and income statements. 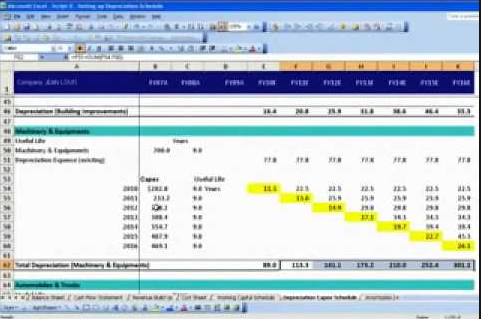 Although many firms use spreadsheets, they are cumbersome. Using them often implies building financial formulae upon intermediate worksheets, using “plugs” or error-prone circularities to balance the statements. This opens the door for errors – requiring extra time to check formulae and audit results. Imagine the impact of miscategorizing any of the cost items between CAPEX or OPEX: it would require heavy rework, especially to recalculate depreciation and amortization, leading to wasted hours. And, who needs that! Before you proceed to make a financial statement, a few preparations must be made first. Let’s start by preparing a simple template. Switch to Audit Mode to see the auto-formatting as in the exhibits below. 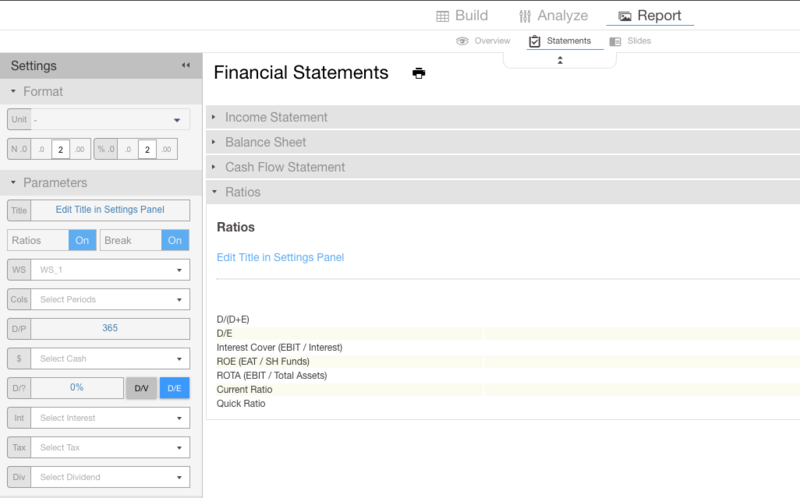 Switch to the TAB Report/Statements to see an empty set of financial statements. We can now simply follow the menu on the left. For example, let’s select the periods we want to see in the statements, say all of them: 2018, 2019 and 2020. See how the statements start to update. Now we add the revenues and immediately see how they are placed in the Income Statement and how the ratios update. Try for example to go back to the periods you set at the previous step and unselect 2019: see how the growth updates. You see how much time you save every time you will add or remove anything from the statements with just a click, without having to insert rows, columns and update formulae. Visyond statements are not only a snapshot of the present, but a forecasting tool too. If you are raising funds, how would your statements look given certain debt to equity ratios and the minimum cash you want to see in the bank? Set minimum cash so that you raise sufficient funds to maintain that cash balance (if you don’t Visyond will assume you are fine to use all your cash). Set D/E or D/V ratio and see if you can afford to repay intetest. Let’s move now to the cost section. In our example we do not have COGS but we have 2 CAPEX items and 1 OPEX (i.e., employees). Let’s select them and see how the Income Statement changes. Have you built a depreciation schedule in Excel that looks like this? Nothing like that in Visyond: for each CAPEX you will see a depreciation table where you will write useful life, scrap value and whether a CAPEX is a tangible or intangible asset. Based on your data, you will see the depreciation line change on the income statement and the balance sheet. After the cash flow statement you will find the most common ratios. Please get in touch if you would like us to add more.